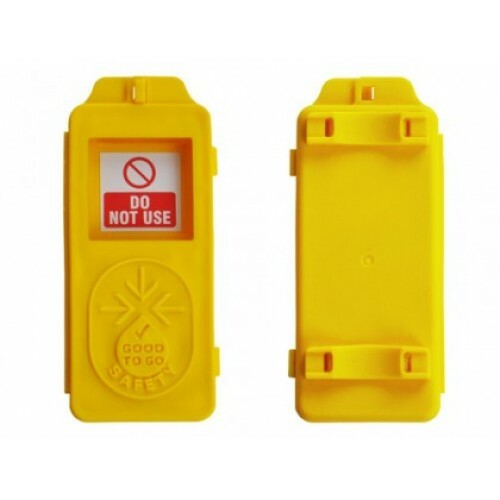 The Good to Go Safety Status Tag attaches to all types of workplace equipment (usually at the point of entry) and is used to advise employees when the equipment is ?Good to Go? following a pre-use inspection. If a fault is found then the tag can display a ?Do Not Use? message to quarantine the equipment until further notice. A channeled base allows the tag to sit flush to scaffold tubes and it's pre-drilled giving it multiple fixing options including screws, cable ties, adhesive or rivets). Carefully designed to meet the demands of your workplace. We recommend the status tag to be positioned at the point of entry to equipment. Where possible this should be at eye level to provide maximum opportunity to be seen by operatives, prior to using equipment. Once a checklist is completed it should be placed inside the tag to show the current status - either 'Good to Go' or 'Do Not Use'. If the checklist has been removed or inspection not carried out, the tag will always display a 'Do Not Use' message in its window. Manufactured from tough, durable, highly visible polypropylene which is weather resistant and UV stable.